Me-ternity is insulting and detrimental to new mothers. "ME-ternity leave' is insulting and detrimental." In the nearly six months since I welcomed my first child, I haven’t slept more than five consecutive hours. Quick trips to the grocery store no longer exist, as any venture out of the house requires no fewer than 20 baby-prepping steps. And the instances when I vow to dive back into work wholeheartedly end the second I hear my son waking up from his nap. Ever wondered how things look for a new born? Science has the answer. Post continues after video. The crux of her argument is that women without children should be granted time away from the office to “discover” themselves, which is her take on what happens during maternity leave. Then, upon coming back from meternity time, Foye says all employees should be awarded the kind of work-life benefits she believes mothers have. About that. Those theories aren’t just laughable to me — they are downright problematic. The easiest of Foye’s suggestions to dismiss should be the idea that maternity leave is a time where all women sit around listening for their calling. After my son was born two weeks earlier than expected, I found myself sleep-deprived, in pain, and still facing deadlines I didn’t want to skirt (lest I lose future opportunities with those publications for being that “baby-having flake”). Instead, I was the baby-having, incoherent producer of some of the most uninspired, grammatically-troubled stories of my life. I barely had the energy to have an original thought, let alone an epiphany about my career. Two months postpartum, I resumed regular work as a writer with the “stay-at-home mom” title tacked on. So, yes, my new schedule looks different from those of my peers — out of necessity. When my child is hungry, there is no option but to feed him. When he wakes up, I have to stop what I’m doing, no matter how bad the timing may be. When I’m on a deadline, precious alone time with my husband reserved for after baby&apos;s bedtime is sacrificed for late-night work. Let&apos;s just say I&apos;m not exactly enjoying much of an increase in work/life balance. Yet, I know I was fortunate to have some pay coming in following my son’s birth. My husband was also able to apply two weeks of paid vacation plus one week unpaid leave to cover his time at home. In the United States, we’re made to feel like those are luxuries: Just one in 10 privately-employed Americans has access to paid parental leave. As a result, 70% of fathers take fewer than 10 days paternity leave after the births or adoptions of children. Worse, a full 30% of employed mothers don’t take any maternity leave at all — usually because they would lose their jobs if they took time off. Even then, there is a steep price with potentially negative health outcomes for both mothers and the children of mothers who return to work so quickly. This story by Emily Glover originally appeared on Ravishly, a feminist news+culture website. 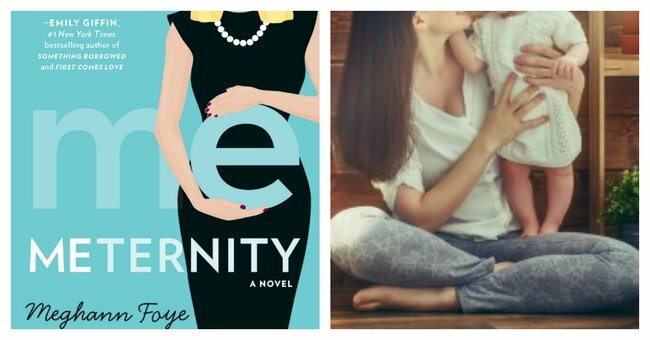 The Real Takeaway From "Me-ternity Leave"